When Toyota introduced their latest hybrid vehicle range, they finally included a Toyota Corolla hybrid as one of the vehicles offering both electricity and fuel power. Much to everyone’s surprise, however, they opted to call it the Auris in America and the UK, with the car being marketed as the Corolla in other parts of the world. In fact, it seemed for a long time as through the Corolla would never be made again. This could make it very difficult to get good Toyota Corolla parts for this hybrid, but it does offer an alternative, at last, for fans of hybrid cars who are looking for an alternative to the more unreliable Prius. Recent suggestions from Toyota Motor suggest that it will be putting out a hybrid version of the Corolla, with production beginning perhaps in the Fall of 2013. The Corolla has never gone out of fashion, with its production values and strength making it one of the most popular cars Toyota have ever produced. In fact, it has remained in demand for domestic sales since the 1970s, and is the most widely bought model nameplate across the globe. The model has a name for reliability and versatility, as well as being relatively inexpensive. For a generation of car owners looking for affordable hybrid cars, a new hybrid Corolla version could be the ideal way to conserve energy and save money. In addition, new designs of the Auris and the Corolla are described as ‘sharper’ than previous years, with more concentration upon styling and appearance. There have also been significant improvements to the interior of the car, with improvements to the height of the car and the drag on the front end. Unlike other types of hybrid electric cars, the Corolla has been designed with power and drivability. Toyota are so pleased with the design that they expect hybrids to take up as much as a third of new Auris sales. One of the biggest disadvantages to the release of a new Toyota Corolla hybrid has already been demonstrated, when production of the new vehicle was delayed due to the popularity of another Toyota vehicle, the Aqua. The high demand for this vehicle actually caused some Corolla hybrid parts to be unavailable, and there are already demands upon other Toyota hybrids when it comes to finding the right parts. 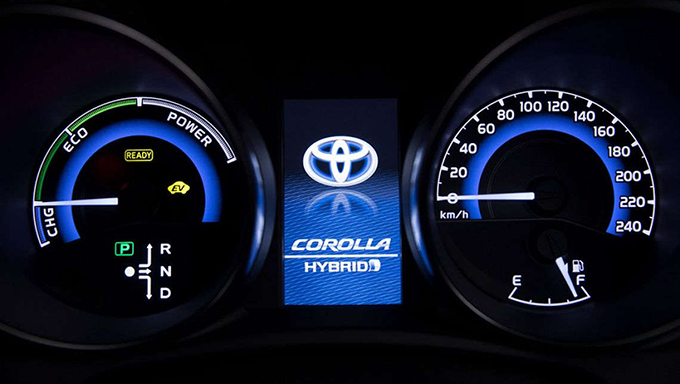 Some reviewers have also suggested that the Toyota Corolla hybrid is not as powerful as some of the other hybrids, such as the Prius, and that it is less efficient when it comes to economy ratings. This could make it much less of a bargain for drivers who need to take their cars on highways and travel long distances. Viewing the car design from this prospect, it can make the vehicle seem much less user-friendly, and unsuitable as a hybrid match. Overall, expectations for the new Corolla hybrid are raised by its well-earned reputation and new design, but lack of fuel efficiency and unavailable parts could make this once-affordable model seem pricey and old-fashioned.